The #WeatherReady Campaign aims to increase awareness of the importance and benefits of preparing for weather – particularly severe weather – all year round. It has a focus on elderly and vulnerable residents as they are much more likely to be affected by adverse weather. The Resilient Network is made up of routes across GM that are considered essential for maintaining economic activity and access to key services in the event of extreme weather events, major incidents and other disruption. These roads are treated as a priority in the event of any such incidents, and our resources are focused on keeping them available for use, where practicable. It ensures continuity of travel across neighbouring local authority boundaries by providing access to the strategic road network. 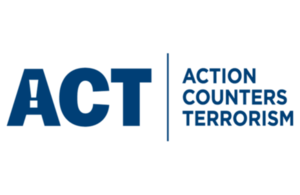 Action Counters Terrorism (ACT) is a national campaign by Counter Terrorism Policing urging the public to act on their instincts to help tackle the terrorist threat to the UK. The public already contribute intelligence to around a third of the most serious terrorism investigations. This new campaign reassures communities that they shouldn’t be concerned about wasting police time or getting someone into trouble. With the support of BEIS, The British Standards Institution are engaging stakeholders during the development of a new city resilience guidance standard. The standard itself will help city leaders and managers to appreciate the strategic value of resilience for their city and to take appropriate steps to build greater resilience. Greater Manchester is a Role Model member of the United Nations International Strategy for Disaster Recovery (UNISDR) Making My City Resilient Campaign. As part of the campaign, Greater Manchester participated in the U-SCORE project which has resulted in the production of a Disaster Resilience Scorecard to enable cities across the world to measure their resilience against the UNISDR 'Ten Essentials' checklist. More information is available here. Uscore2 is a project that aims to design and test a generic, practical, city-to-city, disaster risk reduction peer review tool for cities across EU member states and beyond via the UNISDR Making Cities Resilient campaign (MCR). The project will involve collaborative work between the municipalities of Salford, Amadora and Viggiano as well as the University of Manchester, UNISDR, the Department of Communities and Local Government (UK), Portuguese National Authority of Civil Protection and the Associazione di Protezione Civile Gruppo Lucano (Italy). The British Red Cross Community Reserve Volunteer programme is a new way for local people to help out in their communities at times of major emergencies. The programme is open to anyone who is over 18 and living in the UK and does not require any specialist skills from the volunteers. In the event of a major incident or emergency, the British Red Cross will send out a text alert to volunteers and they will choose whether to help out at that time. There is no prior commitment required. The volunteers will assist regular Red Cross Volunteers with practical tasks needed at the time such as, preparing kit and equipment, filling sandbags, sorting supplies and making refreshments. You will watch a short video and complete a simple registration process with a mix of questions about personal information, contact details and questions that aim to inform volunteers about the role. The process should not take more than 10 minutes. Several hundred volunteers have already taken part in the pilot programme, all with their own reasons for getting involved.